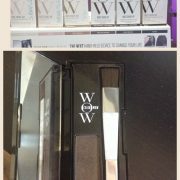 So, have you heard about the latest revolution in the hair world! 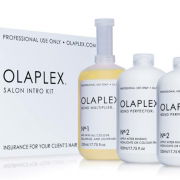 Its called Olaplex and it is a unique product that is no fad and is 100% here to stay!! https://www.zinchairandbeauty.com/wp-content/uploads/sarah-blog-1.jpg 960 720 Lisa Sheppard https://www.zinchairandbeauty.com/wp-content/uploads/zinchairbeautylogo.png Lisa Sheppard2015-06-06 14:38:092017-04-27 15:24:31What Are Highlights? Need a hair appointment? No Babysitter? No Problem!!! I think all mammys have the problem of always having to worry about getting a baby sitter every time they need to get there hair done. But don’t worry here are a few tips we have to make the experience easier for you and your children! We also have a dolls head that they can brush and style, we find alot of children are entertained for a while when they play with this. Any other little goodies or treats you usually give them would be a good idea to bring aswell. We can usually sit them beside you or else on our couch which is not too far away! We also have alot of space here in zinc so buggies are no problem! Any questions just send a message! Becky And the zinc team! https://www.zinchairandbeauty.com/wp-content/uploads/zinchairbeautylogo.png 0 0 Lisa Sheppard https://www.zinchairandbeauty.com/wp-content/uploads/zinchairbeautylogo.png Lisa Sheppard2015-04-02 17:00:502015-04-02 17:00:50Need a hair appointment? No Babysitter? No Problem!!! So with summer only around the corner, we have alot of clients that have just had a baby or about to have them. We thought why not give a heads up to this major topic that so many people worry and stress over after the baby has arrived Hair Loss!!! Hair loss is more common then you think! During pregnancy as your estrogen levels increase which makes hair thick and healthy looking. Many women find the during pregnancy that they don’t loose much hair. This is because on average we loose 100 – 125 hairs a day, These are individual hairs so we really notice them coming out, After you have a baby some women loose up to 500 hairs a day. As it is a lot more then normal its is more noticeable especially when brushing and washing your hair, This can be quite alarming and some women worry about this. You may find a few week after you have been loosing hair that new hair will begin to grow,The hair appears wispy and fly away around the hairline. This can be really annoying as your hair sticks up! After 6months you should notice the hair coming back to its usual Pre- Pregnancy state, although the texture could be slightly different ie, More oily, Straighter. To help hair get back into its original state id recommend using the Alfaparf Scalp care range. The Energizing shampoo is ideal for someone with weak hair who has suffered from hair-loss. It helps reduce and help hair-loss by protecting the follicle from every day action, This will make your hair stronger and look a lot more healthy. The stimulating Eliser is a serum that strengthens and perfects hair. this really encourages hair growth. So we all want to know what trends are “in” and what trends have gone “out”, This year we still have the most popular from last year for example the long curly blowdrys , ombre but this year were finding everything is being toned down and softer! 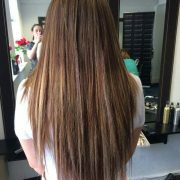 Last years ombre has now been replaced by Balyage! Think soft, natural and feminine. This years “it” haircut is still the mid lenght bob or “lob” , Celebs like Alexa Chung have been sporting this since 2013 and its only becoming one of the strongest hair trends. This is because this cuts is so versatile that it suits most people! Using waves make it softer but straight and sleek makes it that little bit more edgier! soft fringes and side partings help this haircut be soft but still bang on trend! I know the leap to cut your hair can be terrifying but the style is very easy to grow out and still look good! This cut paired wit balyage will put you fashion forward. This colour and style looks amazing and is low maintenance. What more could a girl want?! Taking my que from clebs I have noticed blondes are opting for softer tones too, bleach blondes are becoming more manageable. Im not saying go dark stay bright and keep tones soft. 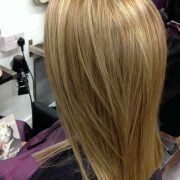 A chat with your stylist will show that you can still stay bright and beautiful opting for sutle changes in tone. Working in a salon I constantly hear the phrase “I cant do my hair myself at home”, Well lucky for you this years trend Softer waves are set to change that. Big hair is OUT! and those plaits that make you feel all thumbs are simplified! Thank the hair gods!! Bouncy curly blowdrys are amazing and give instant glam. But unfortunately we dont have live in stylist at our beck and call like Kim K! These tip for help at home will help! 2: Using the straightener go over the plait 2-3 times to heat them, Id recommend using a heat protect to keep from damaging the hair, Morocanoil Heat protect is really good! 3:Let your hair cool off whilst still in the two plaits! when it is completely cool take it out and run your fingers trough it, finish with a bit of morocanoil hair spray as it is light but will hold your waves naturally. 3: Thats it! 2 simple steps, add a bit of semi di lino shine spray for that glossy finish ! This year is definitely my favorite trends because there natural, manageable and easy! If you have any questions dont hesitate to drop into the salon as we will be more then happy to help keep your hair looking fab in between visits! Natasha and the Zinc Team!